All in all, a very quick cake to pull off. I was prepared to bake to save some dough, pardon the pun. I thought I must have peppermint extract in my pantry “somewhere”. 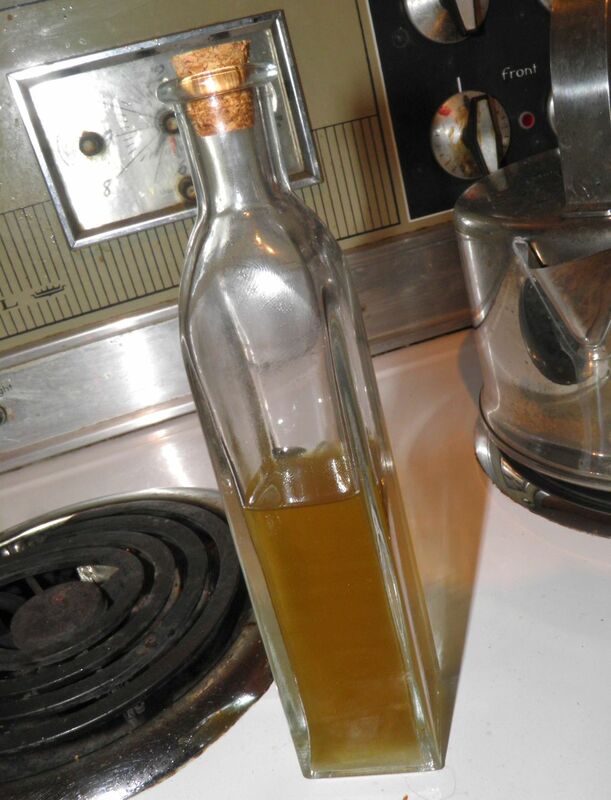 I had some homemade vanilla extract (boring…) and some clove (already did that…) and some cardamom extract. I made all these extracts in the start of the Spring. They are at full strength now. For my vanilla, cardamom and clove extracts click the word links. So cardamom it was. Close enough for government work, as the saying goes. But the cake. What about the cake? I was torn between cookies, cake and brownies. Cookies can be quick to mix and bake but are a lot of work sometimes when you’re craving at 8pm. So I wanted something dense. Besides me, what would that be? There are cake recipes that use melted butter rather than creaming butter and sugar. This reduces the prep time, but also the rise of the cake and makes a denser, almost fudgey, end result. That sounded about right. That way I would get all the qualities I wanted: fast, chewy and delicious. Of course the odd-ball ingredient in all of this is cayenne pepper. Have you ever had a Mexican Coffee? If not, the recipe is here. They’re great! Cayenne, in coffee, cookies or cake, adds an interesting spiciness that you can’t get any other way. This cake – a dense little wonder – is a cross between cake and brownie. You could bake it in a regular cake pan if you wished. I baked mine in a bundt pan just for the fun shape. There’s a reason people say “that’s the icing on the cake.” The glaze helps boost the cardamom taste three-fold. I guess I’ll have to figure out how to make my own peppermint extract soon. I don't want that kind of disappointment again if I can avoid it. Place the flour, sugar, cocoa and baking powder in a bowl and whisk until there are no lumps, and the dry ingredients are all combined. Add the butter, eggs, cardamom extract, coffee and milk and whisk until smooth. Make sure the butter and coffee aren't too hot or they'll cook the eggs. Warm is best, not hot. That's all there is to it. 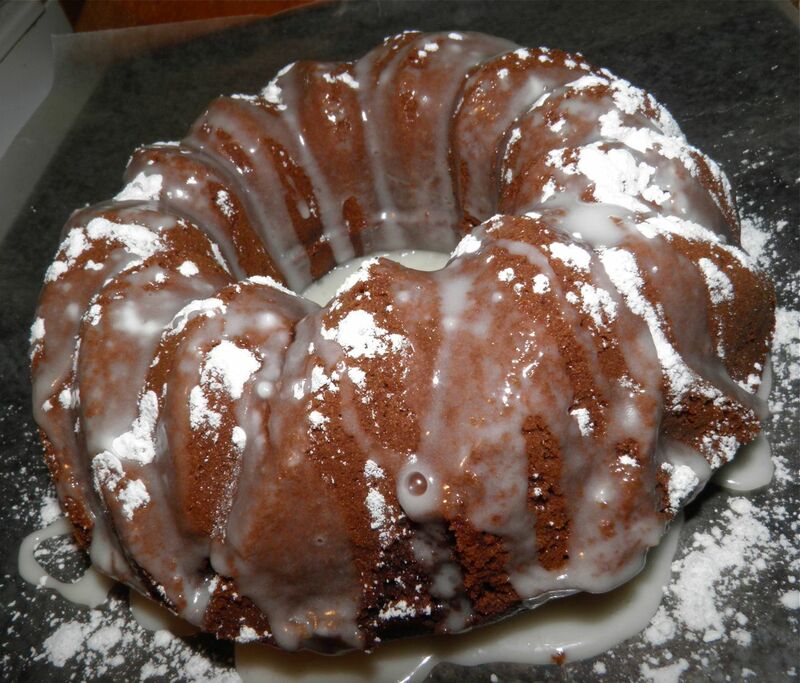 Prepare the bundt pan by buttering and coating with confectioner sugar. 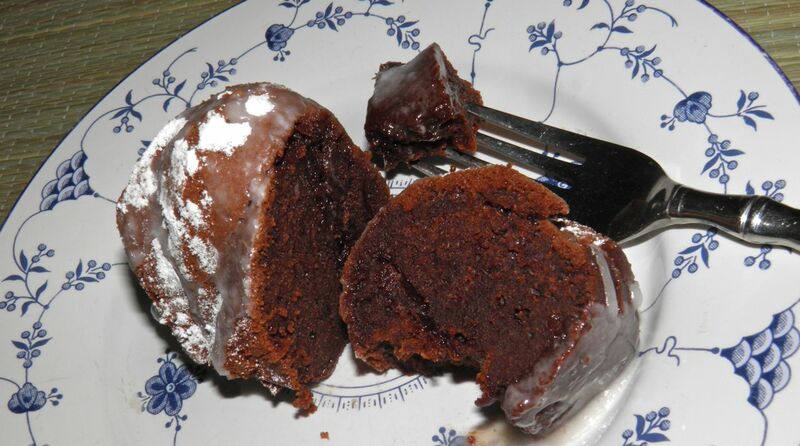 Pour the batter into the pan and bake for 30 minutes or until a toothpick inserted into the cake comes out clean. Another clue to a “done” cake is that it will start to pull away from the sides of the pan, and a finger pressed lightly on top will not leave an indentation. Mix together the icing sugar, milk and cardamom extract. Let the cake cool slightly and then drizzle with the glaze.